It's time for another fun May Arts blog hop! This time we're combining our gorgeous ribbons with beautiful Authentique papers and Imagine Crafts inks and sprays. Just because summer is over, there's no reason to put away your summer papers and bright ribbons. Here's a way to bring a little sunshine into your family's lives on those dreary winter days. I have some old (I mean, they were on the clearance aisle to start with and have been sitting in my office for about 3 years old!) Martha Stewart boxes that were craving a make over. So, for my project, I pulled one of the boxes out of the dungeon and decided to give it a paper and ribbon face lift. See what I mean...yes, it looked that bad! 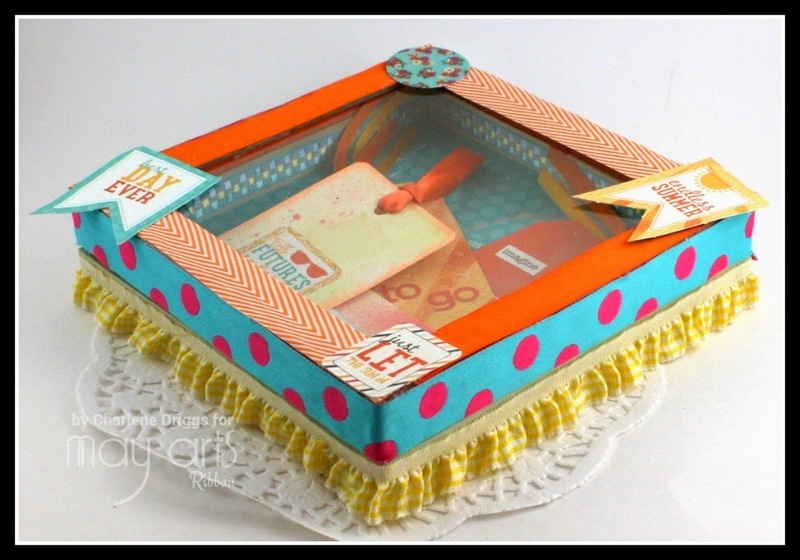 Now, thanks to May Arts Ribbon, Authentique's pretty papers and Imagine Crafts Shimmer sprays, and a little adhesive; I've created a"Happy Box" and cheerful tags to tuck into backpacks, lunch boxes and even your spouse's car to brighten their day. Having a supply of tags handy makes writing a little note of encouragement to brighten their day stress free and fun. Much improved...yes? Loving those happy ribbons! Even the inside got the ribbon and pretty paper treatment. 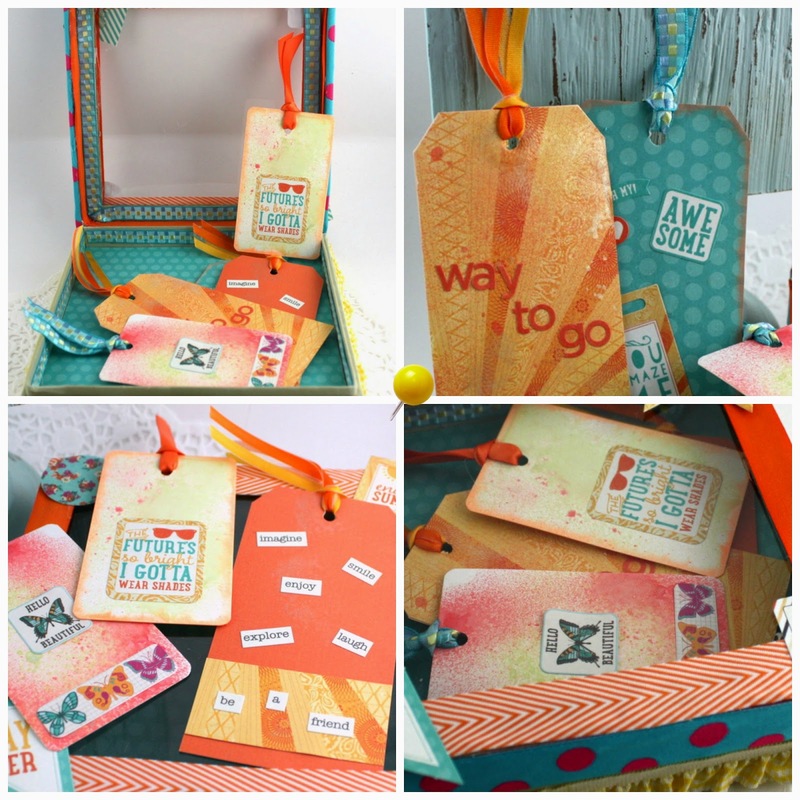 And those tags were so much fun to create! Here's the line up for the week: be sure to check in to each Ribbonistas blog daily for your chance to win one of 3 awesome prize packs full of May Arts ribbony goodness, pretty Authentique papers and Imagine Crafts surprises. Thanks for joining us and be sure to comment to win!